The Rihanna Hearts MAC Fall collection is on its way and I for one cannot wait. It is the third of four collections from the Rihanna and MAC collaboration and it is due out in the US on 3rd October and internationally sometime in October too but the exact dates are yet to be confirmed. For those that dont live in the US like myself, we will just have to lurk about and wait patiently on a date. The fall/autumn collection is packed with a whole lot more than the summer collection with an assortment of makeup items from lipsticks, to eye lashes to makeup brushes and it al comes in a lovely rose gold packaging. Peep the full collection below. 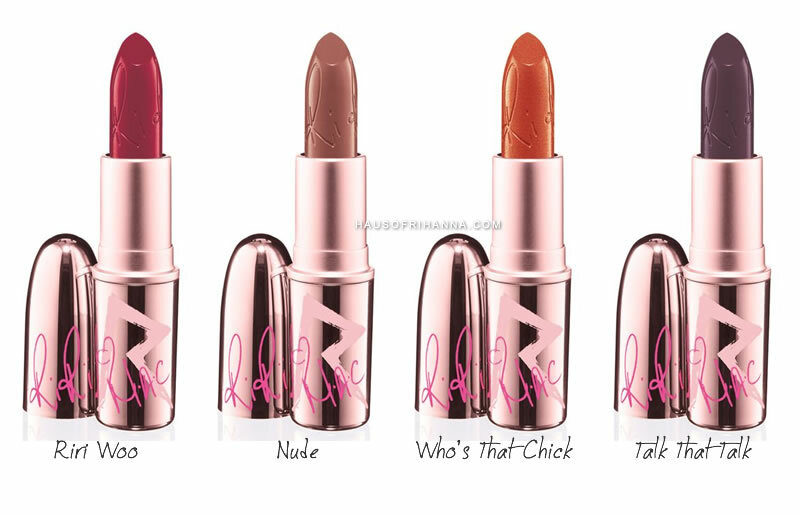 I'm personally not that much of makeup junkie but I am looking forward to getting my hands on the 'talk that talk' lipstick and lip liner, fingers crossed I do. I will have my laptop and ipad on standby ready to go on the release date and good luck to all those out there hoping to get their hands on an item from the collection.